Ensuring that drivers see, acknowledge, and obey signage is always important, but is especially vital in school zones, where young people are traveling to and from school. Children often take the shortest and most direct route each day to school, but that isn’t always the safest one. Improving safety for all pedestrians starts with improving vehicle driver compliance. This can be accomplished by educating drivers through properly placed signs and beacons, which can alert drivers to changing road conditions and encourage them to self-correct their behavior. Safer roadways may help encourage more parents to allow their children to walk or bike to school, rather than be driven, helping encourage good habits, promoting a healthy lifestyle, and reducing congestion in school zones. That adds up to provide positive results for the municipality in terms of health, transportation, economy, and more. How do we make the route to school safer? For those whose job is to understand what signs to use and where to properly place them, the options can be significant, and not always cut and dry. Knowing the effectiveness of different school zone treatments can help traffic engineers and others identify which safety treatment is right for the job. 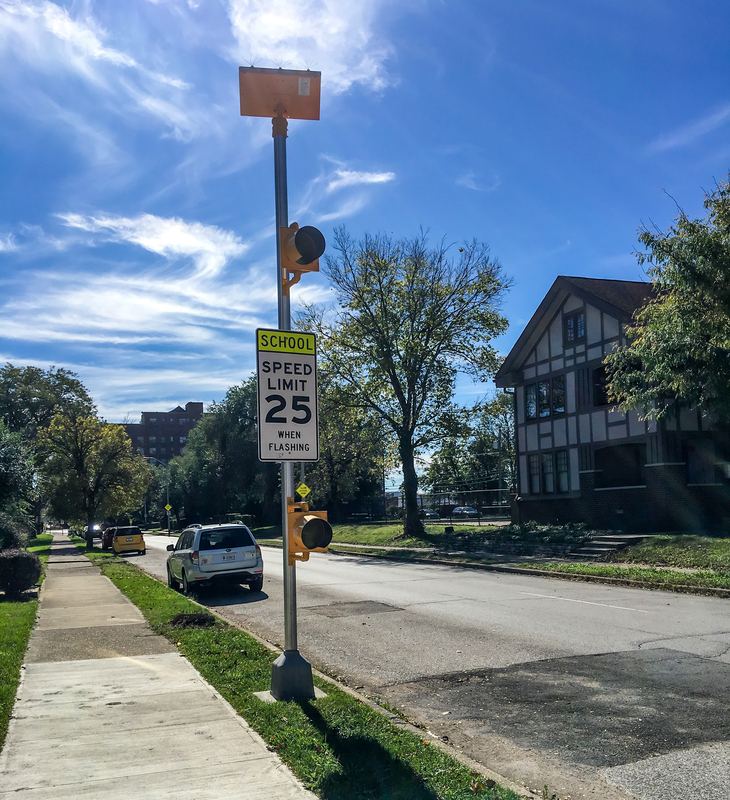 In our video series, we look at school zone beacons and flashing LED signs, crosswalk beacons, radar speed signs, and 24-hour flashing beacons, which each serve distinct purposes in and/or around your school zone. Visit the Carmanah Traffic website to watch the videos and learn more about ensuring safety for students of all ages.